New head coach of Hearts of Oak, Kim Grant has promised to revive the fortunes of the club at his unveiling on Thursday morning. The ex-Ghana player, says he is ready to give his best to the club and has vowed to revive the "never say die spirit" of the team. "“I understand the expectations at a Club like Hearts and am ready to get to work. Under my leadership, we will bring back the ‘Never Say Die’ spirit”," he said. Kim Grant previously worked as Technical Director of Ebusua Dwarfs and together with Brazilian coach Ricardo Da Rocha led the crabs to a fourth place finish two seasons ago. The 46 year old thanked the club and called on fans of the club to give him their massive support as he leads the new phase of the Phobians. 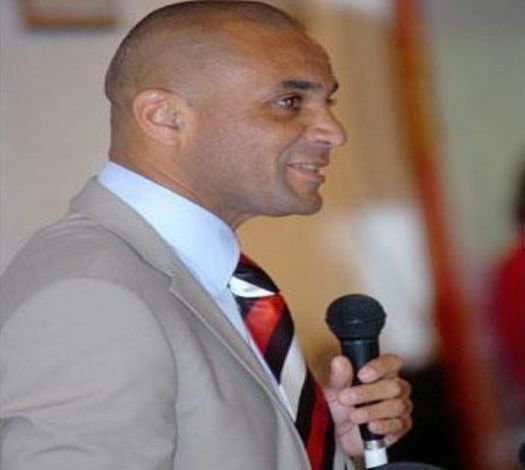 “My sincere thanks go out to the Club’s esteemed leaders for having the faith and confidence in me to return the Club to its position at the pinnacle of African football,” Grant said. “I ask all True Phobians to fully embrace and support this exciting new chapter. Together, we will rise again," he added.